The ASRT is now accepting applications for the 2019 Online Advocacy Academy. This ten-week course will teach ASRT members how to make a positive change in the laws and regulations that govern the medical imaging and radiation therapy profession and protect it from future threats. Promote, enhance and defend the profession's high professional standards of patient care by developing skills to navigate the legislative and regulatory process. Work towards a leadership position on affiliate boards and strengthen affiliate societies' advocacy and media relations skills. Develop personal advocacy and organizational advocacy skills. Applications will be accepted from March 17 through May 19. Apply today. The O.S.R.T. is working for Ohio’s technologists and patients! Watch this video to learn more! Want to volunteer or serve on a committee for your state professional society? OSRT seeks your support and invites you to be involved. 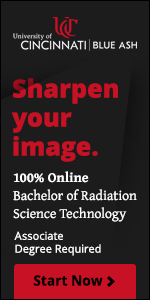 Copyright © 2015 Ohio Society of Radiologic Technologists. All Rights Reserved.